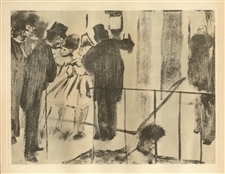 During the 1870's Edgar Degas began experimenting with the monotype process, inking a design onto a metal plate, which usually produced only one single print. 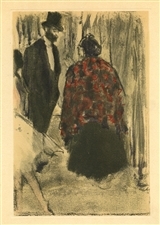 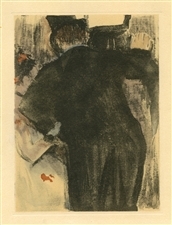 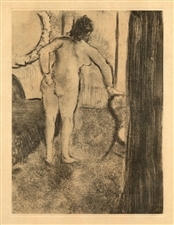 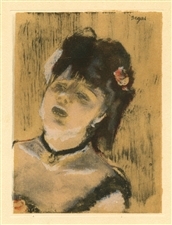 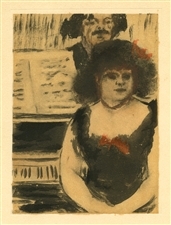 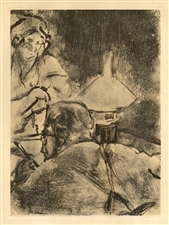 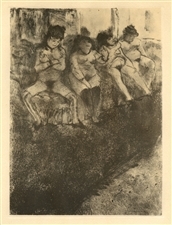 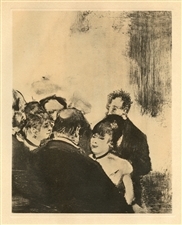 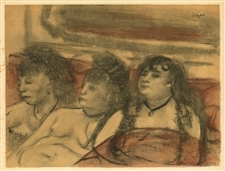 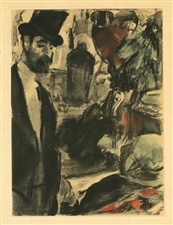 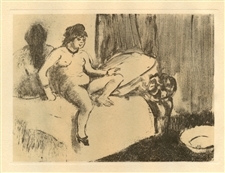 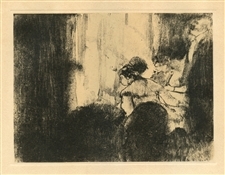 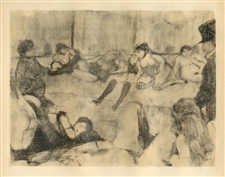 By their nature, each of the original Degas monotypes is a unique work of art and therefore exquisitely rare. 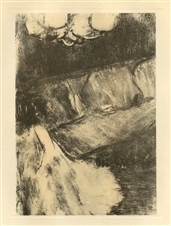 In 1948, forty of the most compelling compositions were re-created in a limited edition, making these hitherto unobtainable Degas monotypes available to collectors. 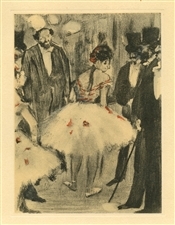 It is this beautifully printed facsimile edition which we are pleased to offer, and which is itself now quite scarce.